The review of Jameson Irish Whiskey this week is a special one because instead of one review you will get to read two reviews written by me and our guest writer Esteban Fontsworth. On top of that at the end of my review I’ve written a short comparison between oxidised Jameson and fresh Jameson. Some of you may wonder what it means for a spirit to be oxidised but read on and all shall be revealed. Scot John Jameson moved to Dublin in the 1770's and went on to found one of Ireland’s first legal distilleries in 1780. He went on to acquire more distilleries and was once able to claim he had more than one million gallons of whiskey aging in Dublin. The Jameson bottle is made of green glass, which is quite apt for an Irish whiskey. The label sports the Jameson family crest that says Sine Metu, which is Latin and means "without fear." This crest was awarded by the monarchy to John Jameson’s forefathers for capturing pirate ships on the west coast of Scotland. 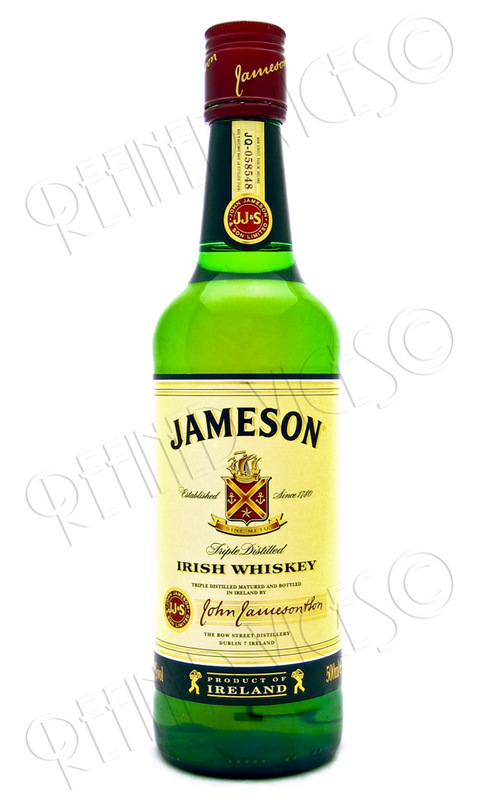 Sine Metu is seen on all Jameson bottles today. One other thing that I found interesting is the code JQ-058548, which appears to be on every Jameson bottle I've seen. So far I've not found any information about this mysterious number but should you know anything about it please post about it in the forums or contact me using the contact form. Jameson’s appearance in the glass is very clear and the colour is pale gold. This Irish whiskey has thin and fast sinking legs. Surprisingly there is a metallic smell combined with alcohol that I didn't seem to have noticed before despite having enjoyed Jameson on several different occasions. Beneath the initial aroma there is hidden caramel that occasionally gives your nose a little tease. In the initial sip a little of the previously mentioned metal can be tasted but not so much it would detract from the overall enjoyment or break the balance of flavours. Jameson is quite smooth with only a little bit of harshness that may come from the slightly roasted malt taste. Exhaling through the nose brings a smooth and warm tingling taste of wood and honey to the palate. The finish is warm and nutty with subtle honey notes that do not last very long. Best served on its own or with a drop of water but I must also concur with the esteemed Esteban Fontsworth's suggestion of mixing it with Coca-Cola or lemonade. Jameson Irish Whiskey is a whiskey that can be enjoyed from time to time. It is not expensive nor does it demand an experienced taster to enjoy its smooth and simple taste. 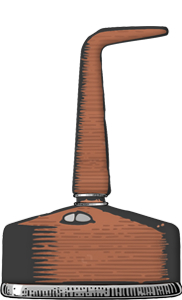 An idea sparked by a conversation about rum oxidation, where people were concerned about the possible quality loss of their spirit in the long run. I decided to document a little comparison between a fresh bottle of Jameson and a drop of Jameson that had probably been sitting on the shelf for over a year. Every time you open a bottle some oxygen gets inside and starts reacting with the spirit, this is called oxidation. When a spirit gets oxidised it might lose some of its aromas and flavours and or mellow down.significantly or there might not be any significant changes at all. The emptier the bottle is the more oxygen is allowed inside and the more severe are the reactions especially if that drop on the bottom of the bottle you have been saving for that special occasion has been sitting there for a long time. 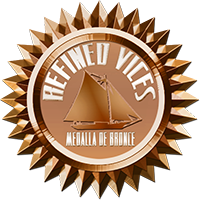 The spirit usually just becomes a little mellower and might lose some of the aromas and flavours but the changes have not been very big in my experience. Compared to fresh Jameson there are no metallic aromas here but the whiskey appears to have lost the caramel. I can taste a bit more wood here and some of the harshness has disappeared but other than that the taste doesn't seem to be affected by oxidation much. Aftertaste seems buttery as opposed to the nutty and honey aftertaste in fresh Jameson but the aftertaste is as short-lived. If you wish to preserve your spirits aromas and flavours for longer there are several ways of doing it. You could use a synthetic cork which will seal the bottle better than a regular cork but will not entirely eliminate the risk of oxidation. Better ways of doing it would be to use inert gas which is quite effective against oxidation or simply decant the spirit into a smaller bottle because the fuller the bottle is the less exposed to oxygen it is. Jameson whiskey is triple distilled and this can be seen in the pour. Its a very clear and pure whiskey with a golden colour. A swirl in the glass leaves an alcohol residue that takes its time to sink back into the glass. Jameson whiskey immediately exudes woody and malty aromas from the glass, due to it being a grain and pot still whiskey. There is also a faint hint of honey. Jameson whiskey also emits a slight alcohol scent that can burn if you inhale too deeply. It gives the impression that Jameson will be a strong whiskey. When first sipped, Jameson feels quite smooth in the mouth. There are immediate tones of caramel or honey. When swallowed it leaves a very pleasant burn and if inhaling straight afterwards brings about a strong honey taste in the mouth followed by a faint taste of the alcohol. In the mouth warm, tingling honey sensation will linger for a few moments before fading. Jameson is at its most delightful on the rocks, but is also good when served with a good quality lemonade or, dare I say it, Coca Cola. For its price Jameson Irish Whiskey is a fantastic purchase. Its so smooth there is nothing that is unpleasant or overpowering about it. Smooth from the first to last drop. A great whiskey for the beginner and experienced drinker alike, I can always find a space on my shelf for Jameson Irish Whiskey.